Create Your Own Virtual Private Cloud with vCider and pay just for the cost of Cloud Server in case you want a quick own Virtual Private Cloud setup easily. We wrote about Virtual Private Cloud (VPC) before and shown you a failed try to create own Private Cloud with Ubuntu Juju and Rackspace Cloud Server. It is possible with vCider to Create Your Own Virtual Private Cloud for just the fee for Rackspace Cloud Server. It is great for developers and small scale users. For enterprise level they have paid solution. 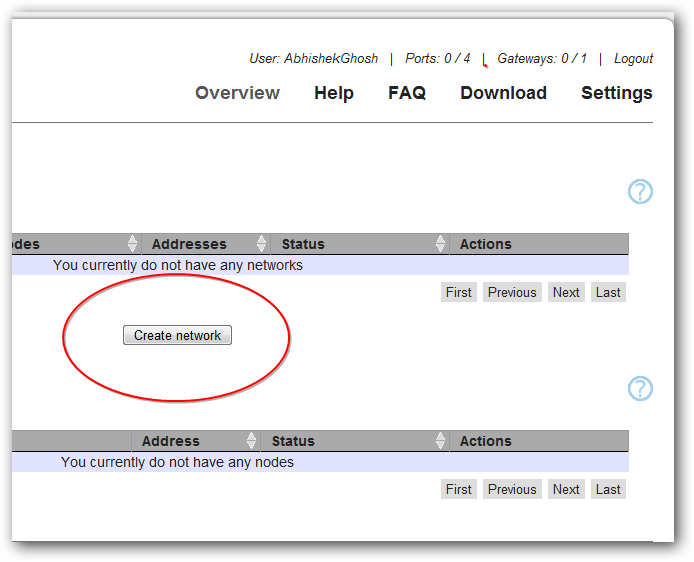 You can simply create two unmanaged Rackspace Cloud Server and Add through this control panel. This is that easy. As it is basically an Introductory article to Create Your Own Virtual Private Cloud (with vCider) we will not go in to real step by step guide. As we frankly wrote in that Juju test drive article linked above, the brands are basically inflating the price of both Private Cloud and Virtual Private Cloud. The cost should never be more than Public Cloud in case of small instance of Virtual Private Cloud. That is actually can be gained by this way to Create Your Own Virtual Private Cloud. Officially vCider tested with Ubuntu 9.10, Debian Squeeze and Fedora 14 and higher for Rackspace Cloud and says to be working. Debian or Ubuntu probably would be the choice for the most. You have seen the crap quality of Ubuntu Cloud in detail before. Canonical has started dreaming like Bill Gates. vCider’s approach is really good. But we need fully Open Source stuff without hardware check either to Create Your Own Virtual Private Cloud for Enterprise or my small one. That actually vCider has shown as possibility of no need to enforce hardware vendor validation check point. Cite this article as: Abhishek Ghosh, "Create Your Own Virtual Private Cloud with vCider : Introduction," in The Customize Windows, September 28, 2012, April 18, 2019, https://thecustomizewindows.com/2012/09/create-your-own-virtual-private-cloud-with-vcider-introduction/.